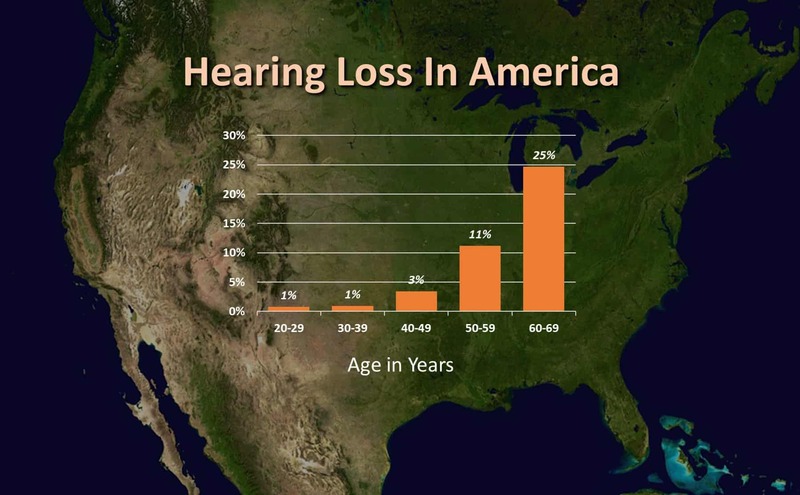 Hearing loss is one of the most common health problems in the United States. Of the more than 49 million disabled Americans, about 38 million suffer from significant (disabling) hearing loss. That is more than all those suffering from heart disease, cancer, multiple sclerosis, blindness, tuberculosis, venereal disease and kidney disease combined. Untreated hearing loss is linked strongly with dementia. A discussion on the consequences of untreated hearing loss can be found here. From the figure (left, top), hearing loss rises dramatically for people aged 50-59, and even more dramatically for those between 60-69 years of age. An explanation of this figure can be found in the next figure (left). The most common causes of hearing loss are noise and aging. Tinnitus (ringing in the ears) affects 50 million Americans. 16 million must seek medical attention, and 2 million have trouble functioning on a day-to-day basis. Severe tinnitus can have a profound effect on the quality of a person’s life. Tinnitus often accompanies hearing loss, and could be as debilitating as the hearing loss itself. An expanded discussion on Tinnitus can be found here. 1-in-2 adults over 70 has hearing loss, but more than 70% of this group doesn’t have hearing aids! 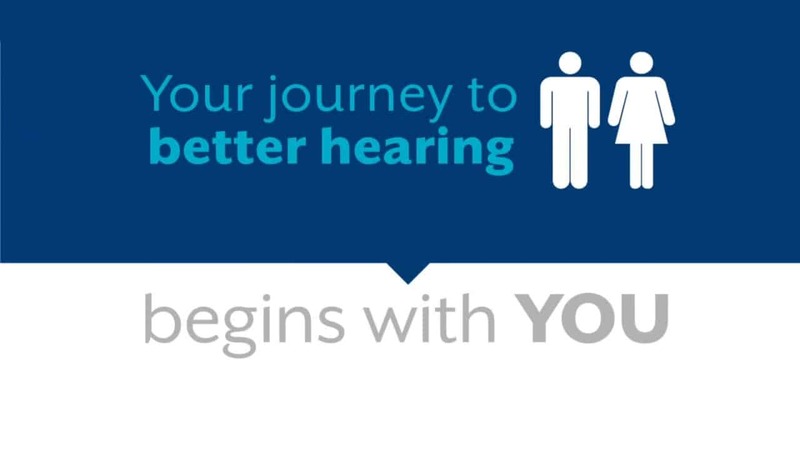 29 million adults could benefit from hearing aids, but 80 percent (8 in 10) don’t use them. From the time of their hearing loss diagnosis, most people wait an average of 7 years before getting hearing aids.That is seven years too many, especially when considering the greater risk of dementia & depression from untreated hearing loss! Hearing loss often happens gradually, so you may not realize that your hearing is diminishing. During early stages of hearing loss, high frequency sounds will become more difficult to hear with clarity. As a result, the high-pitched voices of women and children will become more difficult to hear or understand as hearing loss progresses. If you have hearing loss, you may find it increasingly difficult to understand spoken words, even if you hear them. This is because high-frequency hearing loss distorts sound, which makes speech difficult to understand, even if it can be heard. You may also have trouble understanding the difference between words that sound alike. This is especially true for words with S, F, SH, CH, H, TH, T, K or soft C sounds, because those consonants are in a much higher frequency range than vowels and other consonants. Hearing loss can negatively impact every aspect of your life …from your physical/mental health and well being to your important relationships and career earning potential …so it’s important to treat it as soon as possible. The following questions could help you understand the answer. Do you struggle to follow a conversation when group or background noise is present? Do others complain that you set the volume too high on the TV? Do you have trouble hearing correctly or understanding conversation over the phone? Do you struggle to understand the higher pitched voices of women and children? Do you avoid social events because it’s too tiring to figure out what people are saying? Do you need to be near people in order to understand what they are saying? Do your friends, family or colleagues claim that you are inattentive or absent minded? Have your friends, family or colleagues ask you if you have hearing problems? How did you do? People with hearing loss generally wait seven years before seeking help. How long will you accept life in the slow lane? The following videos describe 10 Signs You May Have a Hearing Loss (Bottom, left), and How Hearing Loss Impacts your Health and Well-being (bottom, right). Both of these viseos were produced by Starkey Hearing. Hearing is life ...will you give up on life? 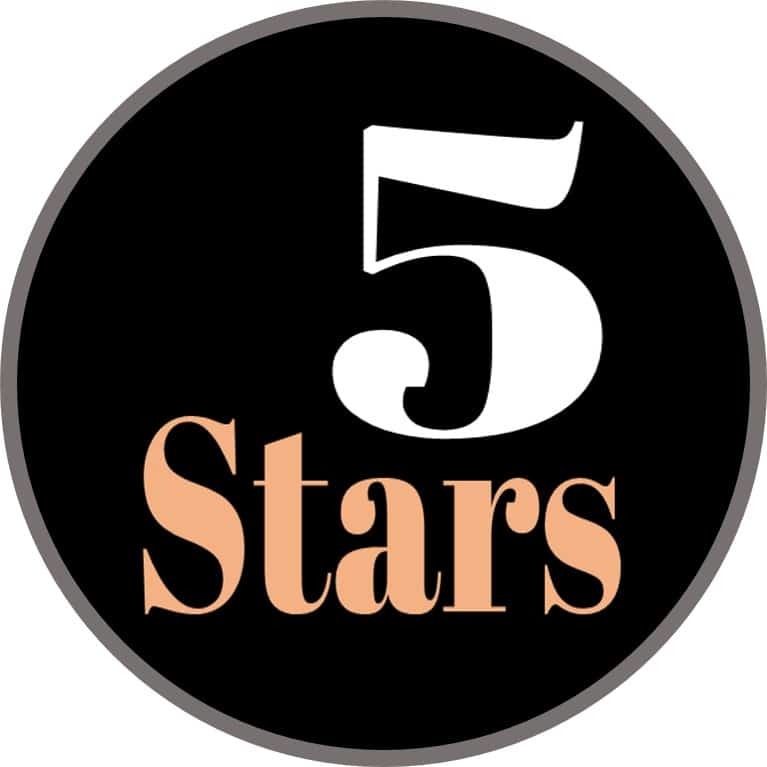 now more than 500 5-star Reviews! First Visit with Dr. Li. Believing there was nothing wrong with my hearing, I went to PNA on the urgings of my wife. Dr. Li introduced herself to me and I was put at ease quickly with her superior background. The technology now used is mind boggling. I watched as a camera showed the images of both ear canals on a large display. I soon saw that I did have an issue. Both ears needed a good cleaning. In a few days I will return and have a hearing test. Can not wait for the results with unblocked, wax free ears. Gee, maybe the wife was right! Great experience. I was impressed with Pacific Northwest Audiology's staff. Dr Li was fantastic at testing and explaining the results of all my tests. I found out that my hearing is dissipating and have lost a lot more of my hearing (as expected by my family and friends). She allowed me to try a pair of hearing aids for a week to see how much they help. Thanks to all the staff I encountered that day, very welcoming and competent! Recent visit. I recently had an appointment with Dr. Alyson Benner. I was extremely happy with her and her assistance in my hearing review as well as the problems I was having with my phone connection. She was professional and gave me a thorough review of my hearing progression. She also solved my unique problem with my phone and hearing aid connection. She kept at the problem checking with staff and checking on the computer until we arrived at the solution. Extremely happy with PNA! Are you ready for better hearing?